I'm pretty tired - it's not even that late - but I worked physically hard helping Tom get the camping trailer out of the back yard today. 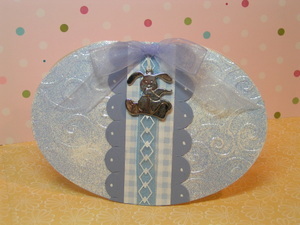 Wanted to share these little Easter Goodies with you. 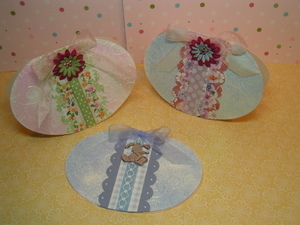 The Title Sweat Pea is the name of the Close To My Heart Paper Packet that I used for both of these cards. 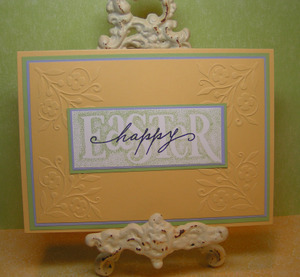 I love the fresh spring-like look of this paper. 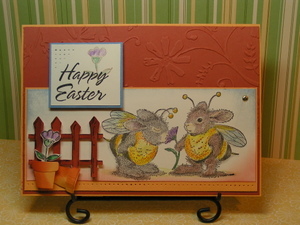 The layout is the same layout that I used for Joey's Easter card - recognize it from this week's Card Sketch Challenge over at Splitcoastampers.com - it's a great sketch. 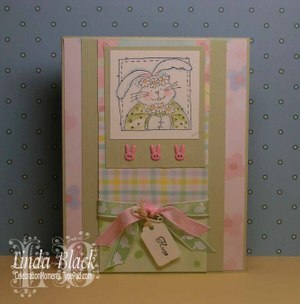 I made two cards for my two beautiful granddaughters - the same but a little different. 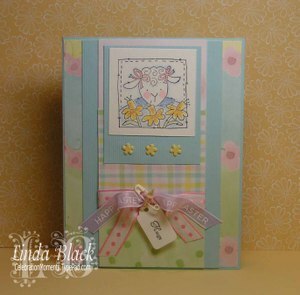 That technique of doing cards the same but a little different makes the process go much quicker. 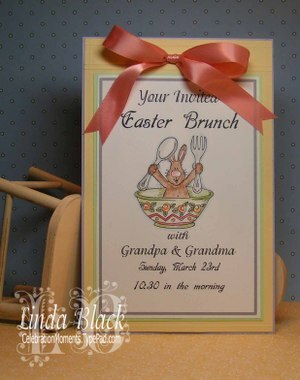 This was the invite I sent out for Easter Brunch. Used the computer to print everything leaving a space for the cute little bunny in the salad bowl. 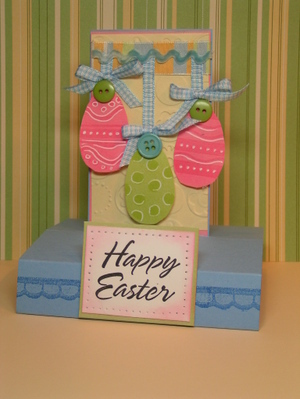 Thought I'd share some more Easter Card Ideas - from the past! 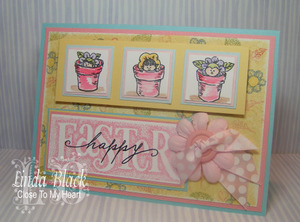 Adorable cards ... my favorites are the ones with the Easter Egg shapes ... fabulous! 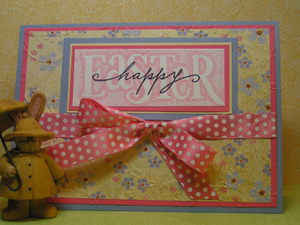 Love all the Easter Cards. 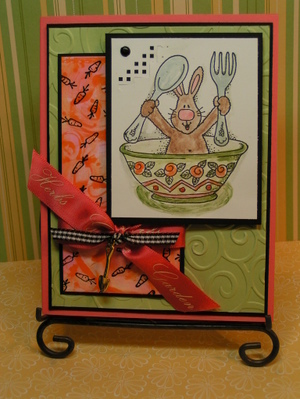 I found out that Inky Antics is at 3110 Payne Avenue in Cleveland and they are going to have card making classes on April-26-27 @ John S. Knight Center in Akron.